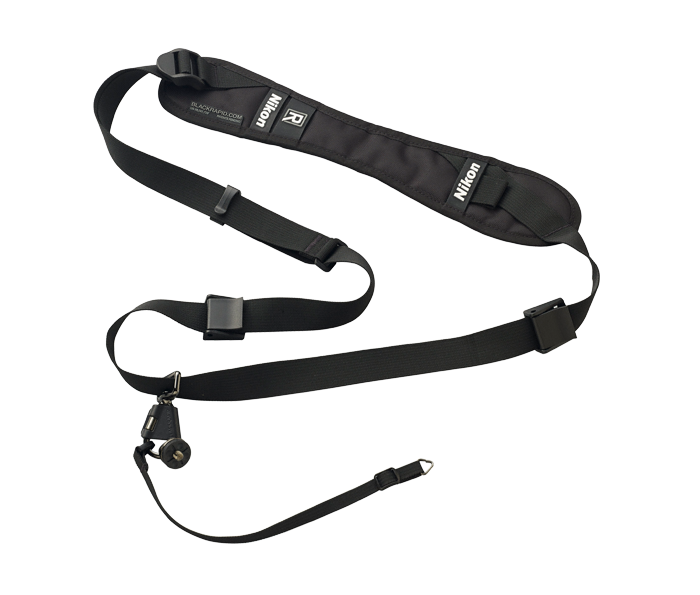 The BlackRapid Quick Draw S Strap is a Nikon branded BlackRapid Quick Draw camera strap. It is designed for ease of use when walking around and shooting. With its narrow shoulder strap, it is designed for use with Nikon 1 and Bridge-type COOLPIX digital cameras. The strap connects to the camera via the tripod socket, allowing the camera to hang upside down, which provides a smooth grip for the on-the-go photographer.